Earn 1.99 Weta Dollars! What's this? Keep your own piece of Middle-earth close to your heart. From the South Island of New Zealand, these natural riverstones have been cut from the peaks of the Southern Alps that feature so prominently in The Hobbit: An Unexpected Journey, ground by mighty glaciers, washed out to sea by the Rakaia, Ashburton, Hinds and Rangitata rivers and finally washed up on the shores of Kaitorete Spit. These tumultuous origins mean every stone pendant is unique - small variations to shape, colour and texture contribute to the raw beauty of these stones. 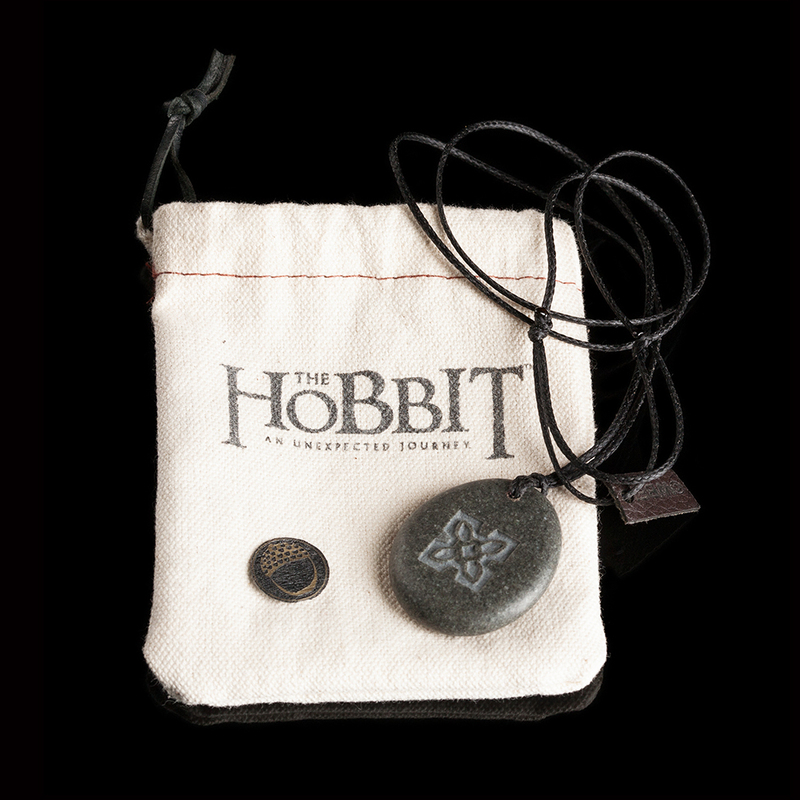 Each stone is then engraved with the image of the Seal of Thorin Oakenshield. This is colour filled and each pendant is then hand polished with natural beeswax to give it lustre. And also to give off a faint and pleasant scent when worn. Attached to each pendant is an adjustable black string and it is delivered in a pouch made from calico (raw, unbleached fabric) with drawstrings and a brass acorn button. A fantastic gift for any Tolkien fan. Or fan of New Zealand. 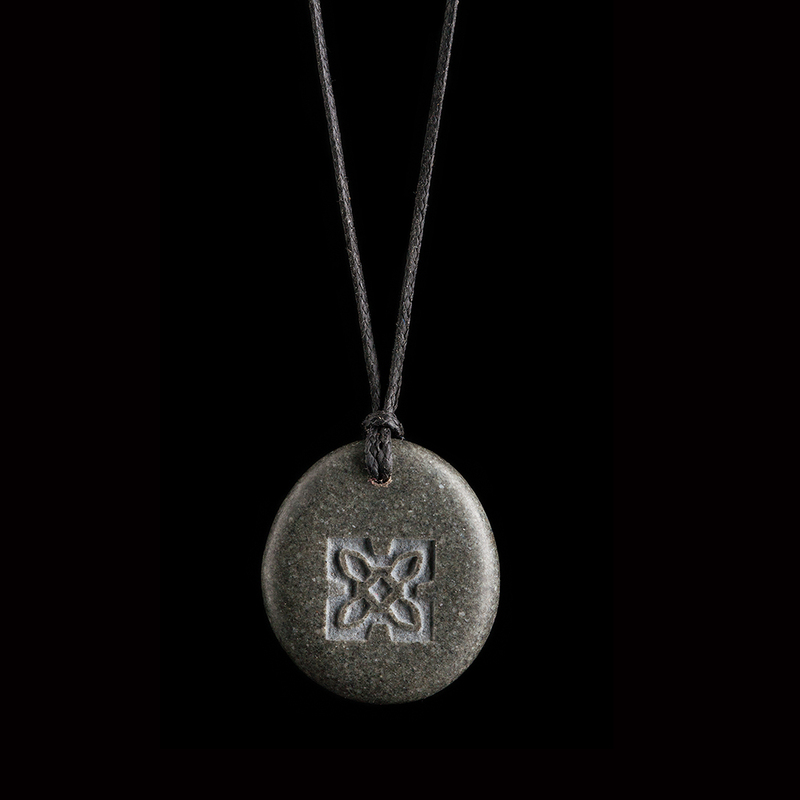 These stone pendants are shaped over millions of years by natural forces until they end up on a riverbed. Each stone is therefore unique and while the samples in the photos are roughly representative, variations in size, colour and appearance, such as veins, will occur. We make every effort to choose the most beautiful and representative pendants for our website orders.